This was the first aged rum I bought. I thought it was really great. After drinking half the bottle I’m not so sure. It’s a very nice rum. Smooth, not too sweet. Not a lot of hang time though. I’m givin’ it a hard 8 if it’s really made from cane as they claim. 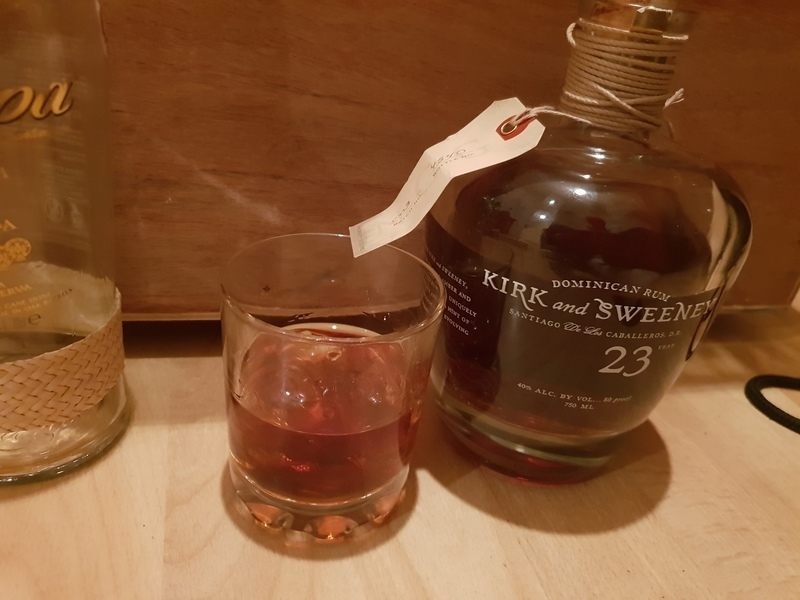 Long a fan of the Kirk and Sweeny 12, I had high expectations for the 23 year. 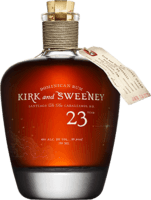 While priced substantially higher ($44 for the 23 vs $27 for the 12 year), this once again proves that neither age nor price make a good rum. Side by side with the 12, the 23 is quite a bit darker. It certainly smells much older. Almost damp and cellar-like. It has much darker woodsy notes, a bit of chocolate, and a bittersweet note. It lacks the bright vigor and fruity notes of the 12 year. The 23 has a more acidic note, and seems a bit rougher in the aroma. It has a heavy mouthfeel, but a smooth finish. You may love the 12, but don't assume the 23 year to be any better. It is just different. Not better, not worse, depending on your taste. When it comes to value, the 12 beats the 23 without question. Instantly among my favorites. Remarkably smooth & has a subtle sweetness to it. ZERO burn. The oakiness (is that a word?) on the front end adds nicely to the complexity. Will continue to purchase this in the future & look forward to checking out the 18yr for comparison. I see Kirk and Sweeney sitting on the shelves everywhere. Well I finally bought a bottle of 23 year old and tried it last night. Wow. Deep vanilla aroma. Surprisingly smooth and complex. An instant favorite. I actually like the 18 better. I'm guessing this is aged in barrels a bit longer, and no doubt it adds complexity and some tannins the 18 lacks. Big jammy nose, surprisingly compact mouth feel. Big (ish), floral, good bit of spice. Nicely balanced, sweet and pepper finish. This is no doubt a beautiful rum, and my preferance for the 18 may belie my immature taste in Rums overall, but...hey, I gotta rate em as I drink em. Overall though, NOTHING wrong with this, and I'm enjoying the bottle a great deal. Smoothed out and extra spicy for the Kirk and Sweeney trio. Sweet candy in a glass. 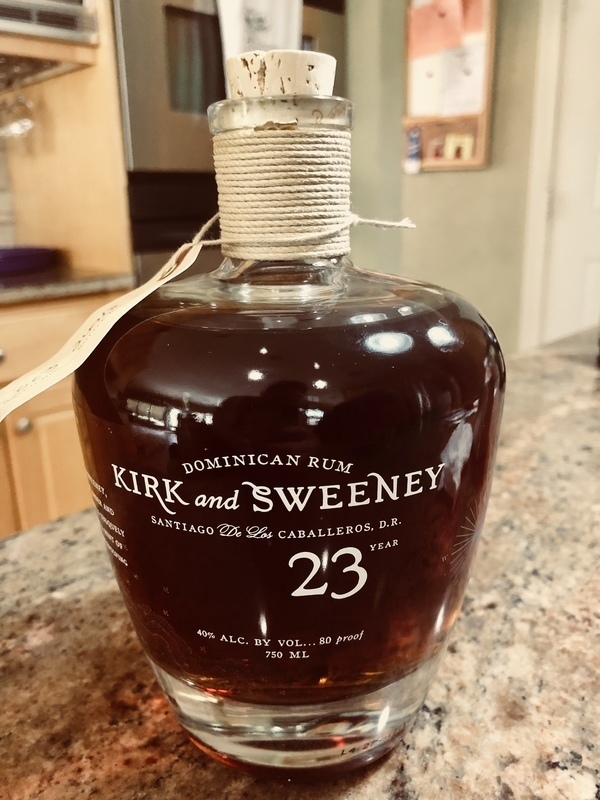 I keep all three of the Kirk and Sweeney Rum on a constant refill. Always a replacement ready should an empty bottle threaten. As the oldest of the group the 23 year didn’t pick up too much wood but it does add enough additional spice to tone down the caramel and toffe of the 18. A wonderful sipper. A little breathing time is a good idea. Kirk and Sweeney have their stuff together! All 3 ages are priced appropriately and each a little different than one another. For a few extra bucks than the 18 you can grab a 23 year. They are not dissimilar and again lots of creamy caramel flavor and vanilla, but not overly sweet! Highly recommend this and the 18, nothing against the 12 which is fantastic but for a few extra $$ the 18 and 23 are great buys!! Dominicans rum, dark honey color. Nice smell, sweet vanilla flavors taste. Very good drinkable spirit . Complex and smooth with a a little smoky firiness months throat. I find that the 18 is slightly smoother, but at the cost of complexity. Both are remarkable rums however. Purchased after sampling the 18 year old. Orderered from Amazon at £49.54 prime next day delivery. 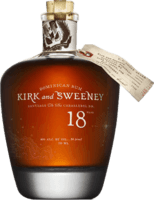 Kirk and Sweeney rums are well priced. Aged in the dominican republic and bottles in Fairfield, California. This bottle is a 750ml US whereas the 18 was a 700ml (may be differences in vendor). I find the 23 a wonderful sipper on its own it has a fruity, nutty, butterscotch nose, it's a wonderful aroma. The flavours in the mouth of the sip are sherry and forest fruit, caramel and slightly nutty, there are many other things going on in this rum and I can't quite put my finger on it, it's just delicious; there is however a slight firiness on the throat but a cube of ice solves that. 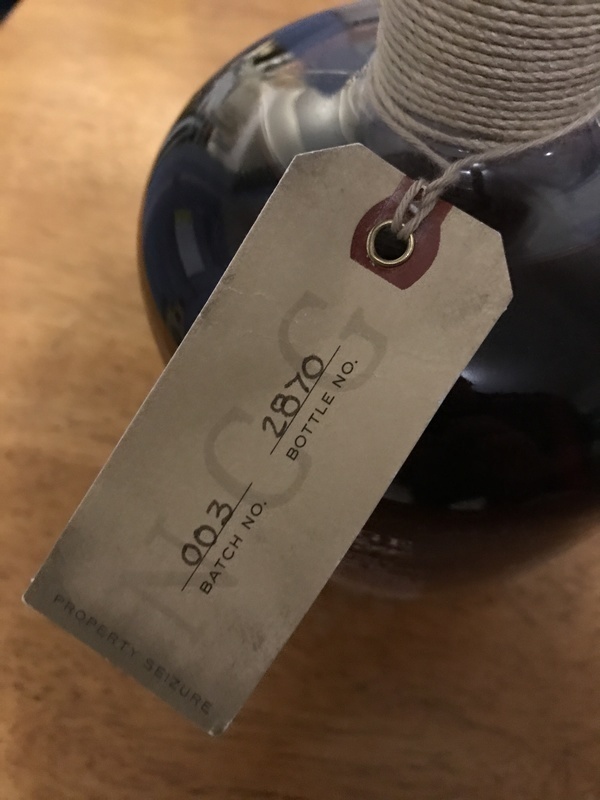 Wonderfully smooth and beautifully complex and at £50 a bottle it's a steal easily comparable to the Eldorado 21 year which is priced around the £80 mark. Not as good as the K&S 18 year old which not only is less expensive but nicer on the nose and mouth. The finish is a bit flat. Russ said it all in ‘I’m in love’. This rum has a full body taste. It can be served at room temperature or chilled. It has a nice taste upon entrance but the back end has a little bit of a bitter undertone. One of the smoothest rums I’ve tried. Not overly sweet with vanilla on the nose, through to leather and candied fruit on the palate. Light finish and no burn at all. This is a wonderful rum. Somewhat sweeter than the Kirk & Sweeney 18 year. Distinct molasses and brown sugar. Sweet, but quite complex. Excellent value. This is the one of the easiest sipping rums i've had. Excellent for beginners. Edit: As of 5 days later I found this rum is lacking a bit I changed my rating to a 7 it's easy enough to sip but gets old after a few glasses. Ein netter Rum zum Feierabend. Ganz lecker, viel Alkohol. 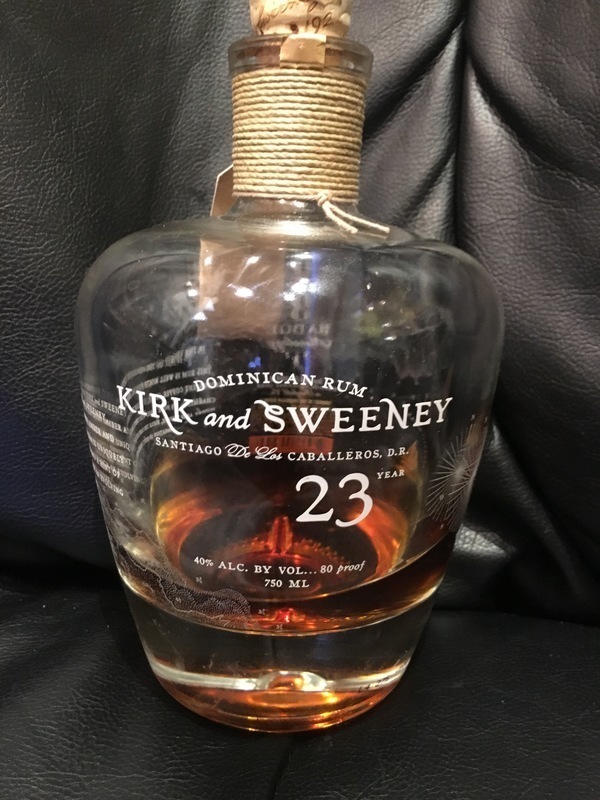 En lo personal creo que este Kirk and Sweeney es un buen ron, sin embargo no llega a ser tan bueno como esperaba; el aroma que desprende es interesante algo dulce, y ligeramente se puede sentir el tabaco; al probarlo tiene un sabor agradable, un poco dulce, matices de frutados y tabaco, sin embargo a mi parecer es un poco ligero, como que le falta densidad. El color es muy bueno, es caoba claro.